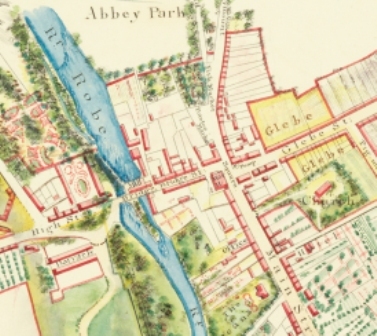 If you would like to leave information on any aspect of the site or guide us towards more information on Historic Ballinrobe and its Environs or Heritage please feel free to do so. All genealogical questions will be referred to Mr. Gerard Delaney of the South Mayo Family Research Centre. Mr. Delaney is the professional who is best suited to handle queries. We would love to hear from you and remember, it is people like you, who will help make this a memorable and enjoyable site for all visitors! I am researching my husband's ancestors, the Willis family, some cousins of whom were shopkeepers in Ballinrobe, and were married to Mulloys and Morans. My husband's direct ancestors William Willis (1830-1877) and Mary Naughton (1830-1890) farmed at a place called Big Park in the townland of Ardnacally. Some of their family are buried at Robeen Graveyard and Roundfort New Cemetery. Would anybody be interested in getting any information on any area of the Willises please? I have been able to get some inscriptions from www.mayoancestors.com but it is very expensive. Thanks for any info, Jenny Willis, Cincinnati, Ohio, USA. Dean James Ronayne was related to my Great Grandfather Richard Ronayne, Treenrevagh, Claremorris, Co. Mayo. My Great, Great Grandfather was Terence Ronayne of Knox Street, Ballyhaunis, Co. Mayo. I, Maryan Tarpey spent all my holidays at Treenrevagh and recall hearing about Dean Ronayne's activities and seeing the Medical Textbooks of another Ronayne relative, who was a Surgeon in the Army. I am interested in establishing the exact relationship of Richard or Terence Ronayne to Dean Ronayne and to establishing where exactly Dean Ronayne hailed from and who else belonged to his immediate family. Unfortunately, the records at Maynooth were destroyed in a fire there in 1940 and the President's Office could only confirm that Dean Ronayne commenced studies on 29 August, 1864 and was ordained in 1869-1870. That would imply that he was a mature student - approx. 33 years old. What he had been doing up to that point is unknown to me. Some of what he did following his appointment to Ballinrobe can be gleaned from reliable sources. I would really appreciate your placing my query on the Noticeboard as I also would enjoy hearing about any details relating to Dean Ronayne's family-background and how he applied himself in Ballinrobe. I should mention that Richard Ronayne’s Grandsons were Richard Austen Tarpey, Chief-Inspector, Irish Land Commission Dublin and John Patrick Tarpey, Criminologist, Crime Unit, Galway.